We understand how fortunate we are to have our clients’ business, and consistently work to provide the personal service and attention they deserve. 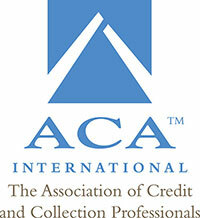 Since we opened our doors, Peter Roberts & Associates has been a proud member of ACA International, The Association of Credit and Collection Professionals, a comprehensive, knowledge-based resource for success in the credit and collection industry. Our membership ensures our clients are dealing with a trusted provider and that we follow ethical collection standards. Since 1997, Peter Roberts & Associates, a collection agency, has been helping professional practices and business owners across a wide range of industries manage their accounts receivables more effectively and efficiently. Our clients rely on us to not only maximize their collection efforts, but also to preserve the customer relationships they’ve worked so hard to build. It’s why leading organizations, including Partners Healthcare have made Peter Roberts & Associates their professional choice. Additionally, we are very pleased with their competitive fees, custom reporting and the exceptional recoveries they have achieved with the outstanding self-pay and patient balances being placed with them for collection." Since our inception, we have received the highest rating possible by the Massachusetts Division of Banks on all agency audits/exams. The Massachusetts Division of Banks is the state regulatory agency that oversees all collection activity and licensing within the Commonwealth.